A stormy day in Cape Ann, Massachusetts. This entry was posted in Travel, Travel Photos and tagged Atlantic Coast, Beaches, Cape Ann, East Coast, Long Beach, Massachusetts, Photography, Photos, Stormy Weather, Tides, Travel Blog, Travel Journal, Travel Photos. Bookmark the permalink. Oooh—the coast of Mass. 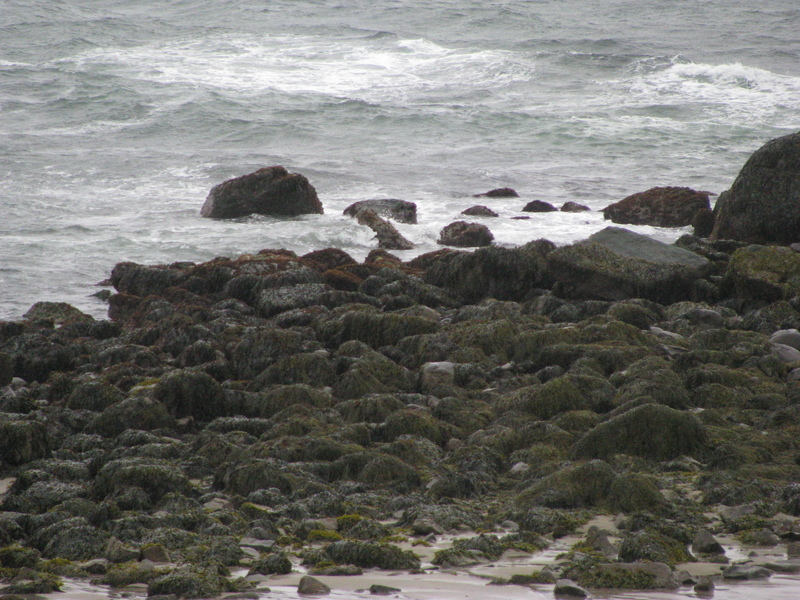 and the coast of Maine` I love how it sounds when the ocean waves pound those big rocks….Magnificent! I do miss it. I love listening to the waves, even during a storm. Thanks Nia! I’m glad you liked it. Stormy or not—it is beautiful! They were. Our place was along the beach and we could hear the waves all night long. Nice! Is that seaweed or moss on the rocks? I think it was moss. But it could be a mixture of both. I wasn’t able to get too close to this shot. These type of storms always remind me of how powerful nature can be. Something very serene about this picture. Blessings to you. Thanks Sherry. I wish you a happy day. It was a fun night and day listening to the waves crash against the rocks.